Zoë Schlanger was a summer 2012 Nation intern and current associate editor of Student Nation. She works at Talking Points Memo as front-page runner and is Editor-In-Chief of the daily independent student blog NYU Local. She has worked as an intern at The Rachel Maddow Show and at the newspaper El País in Madrid. Follow her on Twitter and check out more of her work here. The President's choice of venue--where the former military dictator massacred students in 1962--is a nod to his administration's careful non-endorsement of the Myanmar government. 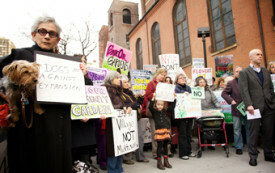 The City Council’s subcommittee on zoning and land use approved a version of the university’s highly ambitious, hotly contested expansion plan, now whittled down by a not-insubstantial 26 percent. Born into the era of mainstream girl power, stressed-out 'super girls' need to take a step back, and a new center wants to help them do that. 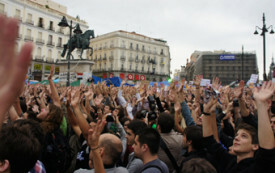 A report from inside Madrid's general student assembly. 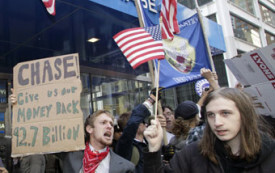 New York City's Washington Square Park has quickly become the hub for student involvement in Occupy Wall Street.